Email verification is a security measure where the email address associated to your account is checked to be genuinely yours. This helps secure your account and ensures we can get in contact in case anything goes wrong or you forget your password. 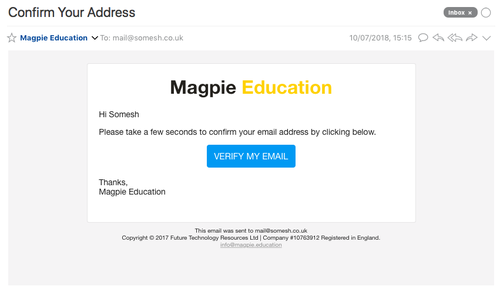 The verification email is sent as you complete the registration process. The email should be delivered in your inbox, however, please remember to check your SPAM / Junk folder as well.